Yesterday, CNN Money released a report that stated that buying a home is cheaper than renting in 74% of the county’s largest 50 cities. The report did not identify the specific cities, but it did say that in 12% of the cities, New York, Seattle and San Franciso to name a few it reported that it was still cheaper to rent than to buy. In 14% of the cities it noted that the cost of renting was still cheaper, but it was very close to buying. I am not a statistical expert but my guestimate would be that the Greater Nashville area would be in the area that it was cheaper to buy than to rent – at the worst case scenario it would be close. But that would take us to the next level. The value of home ownership is usually measured by the cost; maintenance; tax breaks, etc. The value of homeownership is also determined by the pride of ownership, the commitment to community and the security of knowing what your mortgage will cost for many years, especially if it is a fixed rate as opposed to waiting for the letter announcing that your rent is going up. Even though the real estate market has taken a hit in the last few years, the dream of homeownership is still alive and well. It is an intregal part of the American way of life – one that is seldom matched anywhere else in the world. I am many times amazed at what people in other countries go through to buy a home. This is brought to life on House Hunters International (one of my favorite shows). I recently heard from a friend in Florida who started out by telling me that he and his wife sold their house in Florida and took a $40,000 “hit”. He complained a little about the market, but then went on to say that they bought the house of their dreams for a lot less that they would have imagined. Although I am not a CPA, I am pretty sure that when the market starts to turn around, and it will, his net worth will increase more than the $40,000 he lost in the sale of his home. Not everyone is in a position to take that kind of a hit, but it is something to be aware of and consider if you are looking to move up to a larger home or to your dream home. Now may be the time to make the move. Homes have taken a beating in the last few years and the cost have come down, as we all know. But the home that you may be looking at moving up to has also come down and that could work to your benefit. To sweeten the pie, interest rates continue to remain low. As always, if you have any questions about real estate, please feel free to contact me. If it involves specific questions about mortgages, I can get you in touch with someone who can answer your questions. I look forward to hearing from you and helping you with all your real estate needs. If you follow this blog at all you will note that I am very positive about the real estate market and the Nashville and Williamson County areas in particular. In an earlier blog I pointed out that Williamson County had a 26.2% increase in the sale of single family homes over July, 2010. Inventory levels are declining and the mortgage interest rates remain low. In July, 2011 Forbes Magazine released the findings of a study they conducted in conjunction with Mark Schill of the Praxis Strategy Group. They looked at 52 of the largest metro cities in the United States and ranked them based on various data indicating past, present and future vitality. They looked at data from the past ten years and focused on how the cities were growing in the last two years to account how cities were dealing with the recession. The folks doing the study may have been surprised, but anyone living in the Greater Nashville area knows the vitality of the area. I wanted to share this information with you to let folks know what a good buy real estate is in this area. I invite any one looking to buy or sell real estate to give me a call and lets see how I can help. I also want to mention, that you can subscribe to this blog simply by clicking on the “sign me up” button and providing your email address. You will then be notified when there is a new posting on this blog. I would also ask that you rate the blogs that see. My purpose for doing this blog (besides getting more business) is to provide pertinent information to you. Your email address is not sold or shared in any way and I would appreciate your expression of interest. As a REALTOR I would like to announce that, but I can’t. Taylor Swift does not know I exist and she certainly did not list her home with me – but I would sure “like” to announce that. I would like to announce it for several reasons: One of course being the commission on a property of hers, another reason would be the chance to break into that market of the Country and Western professionals living in this area (Ms. Swift are you listening). The prestige that it would bring to me from all the other REALTORS in the known universe would also be important. But by far the biggest reason would be the thrill I would get that maybe, just maybe, my wife could meet Ms. Swift because she would be one of my clients. My wife loves Country and Western music. She loves the music, the stars, the stories behind the stars, the song writers, the stories behind the song writers, the busses, the stories behind the busses – you get my drift. I, on the other hand love – well lets not go into that, it might spoil my chances with one of the stars. You have heard that opposites attract! Lets just say most of the music I love was written long, long time ago at a time when they did not have busses or any other motorized vehicle. But it does bring us to the fact that living in the middle Tennessee area is a treat. The weather, the hills, the people and the experience of living with such talented people in the Country and Western industry. I pick on Ms. Swift mostly because her’s is one of the few names I know. My wife mentions a name and I fear it is a cousin whom I have forgotten. Although my knowledge of the stars in this area is limited, I do appreciate the excitement that the industry brings to the Greater Nashville area.. That is one of the reasons I enjoy selling real estate – people truly love moving to the Greater Nashville area. Buying a house is more than buying land and a building – it is buying a home and the community that goes with it. It is living in an area where we bump into Country and Western stars, we enjoy the excitement that the industry brings and we live in a community that pulls together as we did when the floods hit in 2010. 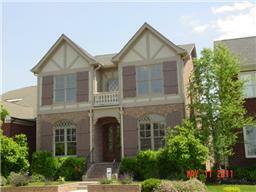 The community of the Greater Nashville area makes selling real estate a pleasure. I look forward to helping you with any of your real estate needs. Please feel free to contact me should you have any questions and let me help you. Everyone has probably heard the old adage for real estate, “location, location, location.” That philosophy remains true today, but with a little twist. I would say that if you are selling your property you need to be mindful of its location, but you also need to be aware of the pricing conditions in your location. A property in a good location has a much better chance of selling than one perceived by buyers as a bad location, but even properties in a great location must be priced right or they will not sell. When you list your property with a real estate agent, they will be able to give you a price range of what you could expect your home to sell for. This is determined by a process called a CMA or Comparative Market Analysis. When the agent is giving you their price range they will undoubtedly look at a large number of factors. Be sure that they are giving more emphasis on the “sold” price of homes and not the “list” price. It is the sold price that will best determine what you could expect to sell your home for. It is also important that the information they are looking at is as current as possible. Something that sold a year ago may have no bearing on today’s market. Ocassionally, agents will want to get a listing so they will up the listing price of your home with the hopes that you will list with them. If agent A says they believe your home will sell for $250,000 and agent B says they believe it will sell for $300,000, sellers will generally gravitate to the $300,000 price with the belief they will make more money. It is ultimately the sellers decision what to list the home for, but it is the buyer who will determine the sale price! A reputable real estate agent will not let a seller list their home for a price that they know, or reasonable believes will not sell for – it is not in the best interest of the seller. Responsible agents should be willing to walk away from a listing that they truly believe, and can substantiate with a CMA, is a price that will not sell. It gives the seller a false sense of success. I have a client in another state that is looking to move to Middle Tennessee now that he and his wife have retired. They want to sell their home in that state before they make an offer on a home here, which is not an unreasonable request. However, their home may be priced to high and they are not getting any offers. It is a nice home, in a nice location, but the price may be too high. I can not determine that because I do not have the data available from the local MLS to make that determination. I can sense their frustration, however, every time we communicate. If you are thinking of selling your property, have serious discussions with your agent about not what the house should list for, but what you can realistically expect to sell for. It may not be what you want at this time, but it may help you get to the next chapter in your life. Let me know of any questions you may have. I look forward to helping you with any of your real estate needs. Good Deals in Real Estate!! In an earlier posting I talked about how sales in the Williamson County (Tennessee) area were getting better and that now may be a good time to buy. Prices of homes are still low and the interest rates are extremely low – hovering around 4.5% for a 30 year fixed. I have looked at a house in Thompsons Station that has 3,944 square feet and is listed at $369,000 – that is $93.56 a square foot. The property is located in the Tollgate Village and I mention this one because of the press that Thompsons Station has received recently. The area of Thompsons Station, especially around the 840 interchange has been referred to as “the next Cool Springs.” I have included a link to an article discussing the future of Thompsons Station and how attractive this area may be to potential buyers. These are the deals that are out there now. I would encourage anyone who is thinking of buyer or selling to get with a REALTOR® and see what options are out there. You may have noticed that the world of business is much like the weather – if you don’t like it, wait a little and it will change. Real estate is no different. If you look at the news you will read that the market is falling off a cliff, then the next day someone, somewhere comes out with some numbers and the market doesn’t look all that bad. The problem is that real estate is a local matter. Many times the numbers that are reported on the news are for the nation as a whole, or more likely for an area that has doom and gloom results, yet clearly real estate is influenced by local matters such as plant closings or even openings, taxes, schools, environmental issues and even the weather. After a hurricane tears through a community it is probably hard to sell real estate, yet let a snow storm hit in the north a few months later and many of those folks would probably be glad to move into a hurricane area. Recently the Williamson County (Tennessee) Association of REALTORS, of which I am a member, issued their monthly statistics for July, 2011. With all the negative news swirling around, it was good to see that residential closings increased 6.3% from the previous month and 26.2% from July 2010. Some how that kind of information just does not make the evening news – it doesn’t sell news!! The other good news is that the inventory level decreased which means there are fewer houses on the market than the previous July. In addition, the number of days on the market also decreased. This is good news for the real estate market, at least in Williamson County, Tennessee. Unfortunately, these numbers were driven by a 9.9% decrease in the median price for July. However, the median price for July, 2011 is up about 3% compared to July, 2009. This underscores the point I made in another posting on the importance of pricing your home right. I still believe that home ownership is an extremely important part of our lives and that anyone who wants to own a home, should not let the market deter them. In fact, with home prices starting to creep back up, this might be a great time to get into a home of your dreams. A day doesn’t seem to go by without receiving bad news about something – everything at times. Recently the market dropped over 600 points and the media spent the entire evening spewing out how things were going to get worse the next day. They did not, the market went up – not the full amount lost the day before, but it did go up. We focus on market results on a daily basis, however, as any investor will tell you, it is better to be in the market for the long haul, and that means ups and downs. Real estate is no exception. When the market turns down, as it most surely has in recent years, the fear that kicks in makes the pesimistic predictions a reality to some. Yet real estate, in my opinion, and in that of many other folks, is still a good buy for people. It is not just a purchase of real estate, but it is also a home to live your life, build memories and feel secure. It is “an investment” for the long haul and people should remember, it is the long haul that makes it worth while.The purpose of this blog is re-instill the value of homeownership and provide information that will hopefully help anyone who is thinking of buying real estate. The topics will cover the gamut of having a real estate agent, the difference between a real estate agent and a REALTOR, insurance, mortgages, etc. Questions that you may have are invited and I will try to cover as much of the requests as I can.Now for the disclaimer: I am a real estate agent with Coldwell Banker Barnes in Cool Springs, Tennessee. I am also a REALTOR ( more on that later). I would certainly welcome any referrals or interest you may have in buying or selling real estate, but this blog is about information to help you, the real estate buyer or seller. FSBOs may be helped with this blog. FSBOs are welcome to submit questions about any issues they may have.